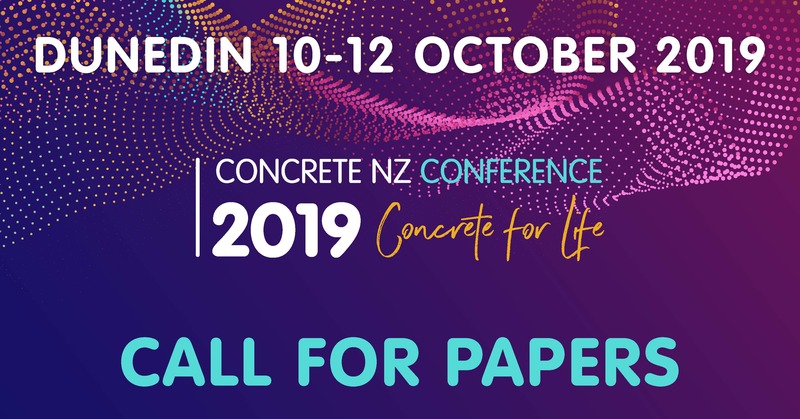 The 'call for papers' for the 2019 Concrete NZ Conference is open until 2 April 2019. A one-page synopsis of their proposed paper. A short paragraph detailing career history and a written commitment to personally attend and present the paper at the conference, if the paper is accepted. A six to ten-page paper is required from authors of accepted papers. A template is available on request. Papers will be published in the conference proceedings. All aspects of the concrete construction and associated technologies will be covered. Papers are being sought on research, design trends, marketing opportunities, recent developments, construction, materials, methodologies and new issues for cement and concrete. All papers accepted for the 2019 combined industry conference will be eligible for the Concrete NZ – Learned Society’s ‘Sandy Cormack Award’ (the recipient will receive $1,000 and an award certificate).